This remind you of Alexander McQueen Mens spring/summer 2010. 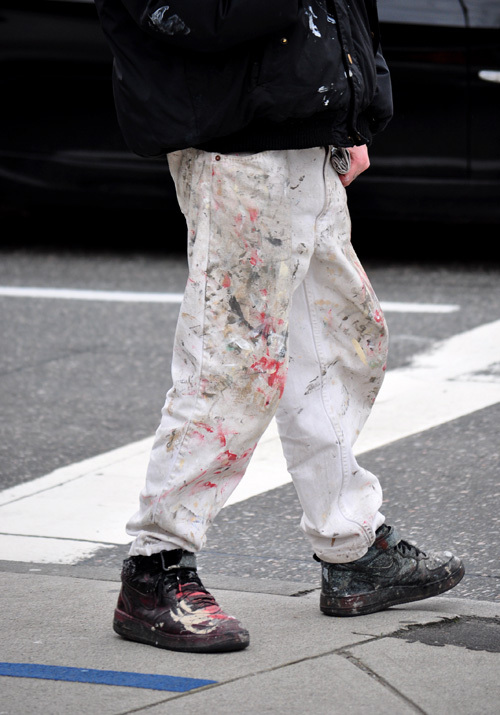 I think I need to find a painting job during the summer and wear my white jeans as a blank canvas, after I get the job done, I get paid and I have an awesome artistically dirt painted jeans (possibly shirt too). what do you guys think? I agree. I digg the splattered paint on clothing. Gives a scruffy/ I don’t care look. Kindaa like how worn- looking boots are “in”.